2018 is my year to be the organised mum. It’s my year to know when parents evening is even before the teachers do, it’s my year to be there first at the school gates and complete every work date a week in advance. Okay, maybe not. But it was one of my goals to get my S%£t together! I was fed up with that frazzled feeling and rushing around so I made some change. 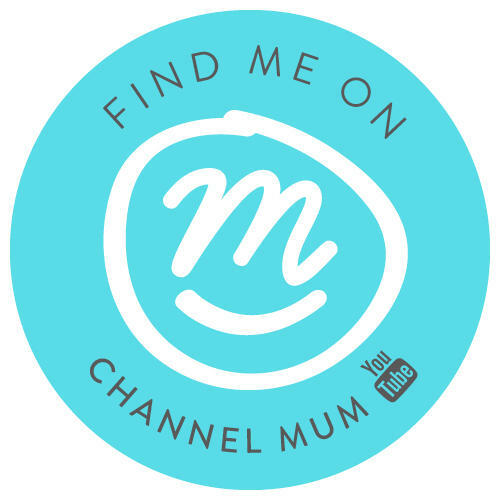 Albeit little they really have worked so much so I feel qualified enough to share with you 20 tips and hacks to be an organised mum..
Keep a basket at the bottom of the stairs; pop in bits throughout the day that need to make there way back upstairs and once it’s full or its bed time take it up! Meal plan for the week ahead; I like to look at what we already have in, decide which meals I can rustle up and then write my shopping list around that. Check out an example of our meal plan here. Use a family planner; I loved mine. Keep it in one spot where everyone can see it and add to it as they need it. Extra geek points if you also colour code household member! Make a list each morning of things you want to accomplish; little things like take out the bins and change the beds on there too. It will help keep you focused and it’s so satisfying to tick it off. Kids art work all over the place? Take pictures of their master pieces and bin the collages. You can even make a book online with all the pictures in to keep. Organise the night before; I pack lunch boxes, lay out clothes and eve have the shoes waiting by the back door the right way round. I can’t even tell you how much time this saves each day. Keep a shopping list on the fridge. Each time something runs out, write it down do you don’t forget on shopping day. When the school clothes need to be dried in the morning pop a dry towel in the machine to halve the drying time. Portion and freeze fruit in bags or pots. The can go straight in the lunch box from frozen as they will defrost throughout the day. Use Drawer dividers. Not only do they look neater they allow for easy organisation. My girls know exactly where everything is meaning they can get themselves dressed without pulling everything out. Plan outfits for the week ahead, think about what you’re going to need if you have events etc. Also when you are going away pack your clothes by the outfit so you aren’t struggling to put something together each day. Program your coffee machine; for us who take the caffeine fix very seriously – get that coffee machine programmed and you’ll never look back. Regularly declutter; have a box in the garage or porch and as and when you spot thins you no longer need or use pop them in there. When it’s full you can take it to the charity shop. It’s much easier doing it little and often than a mass clear out. Batch cook and freeze meals. bulk out your usual dinner with extra veg to create more portions and freeze. Write the meal and date on the container so you know what it is and how long its been in their for. Have a ‘don’t forget’ sticky note my the back door. A good to remind you of keys, phone, purse before you fly out the door. It’s especially hand if like me you often lock yourself out! Have some healthy snacks ready prepared in the fridge. I like to chop carrots, cucumber and peppers. It stops me reaching for the biscuits and means I always have a quick snack for the kids. Buy cards in advance. Make a list of birthdays and bulk buy so you always have a stash, it’ll always be the one thing you forget to pick up with the food shop. Speed clean – this isn’t just for YouTubers. Set a timer and clean your socks off for a shoe period of time. You’ll be amazed a how much you can get done in just 15 minutes. Delegate the work. Bella loves washing up right now so if there is just a few of their plates on the side I let her get on and do it. She has fun and it saves me a job. Share the work load and getting everyone pitching in. Last but not least; schedule in some down time. In-between packing lunches and chopping peppers us mums need to remember we are important to so sometimes say sod it to the dishes and have a cuppa – that’s an order ladies. 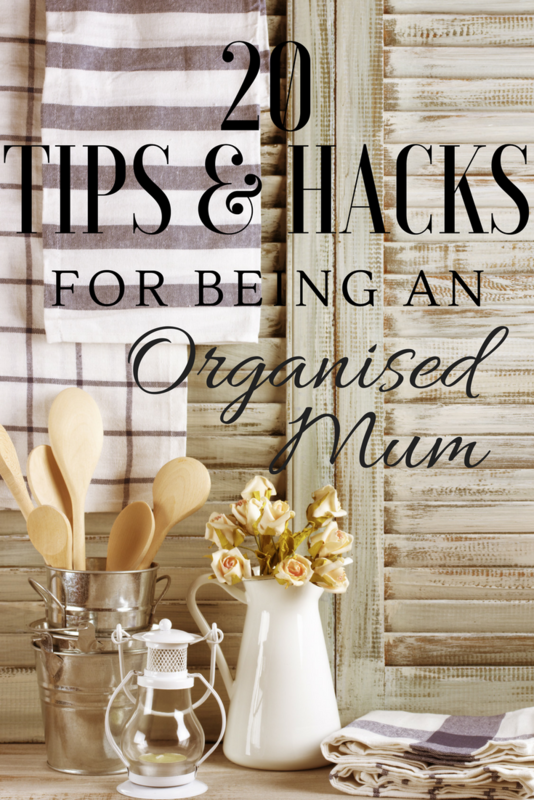 I hope you enjoyed these little tips and hacks and they help you feel a little more organised! 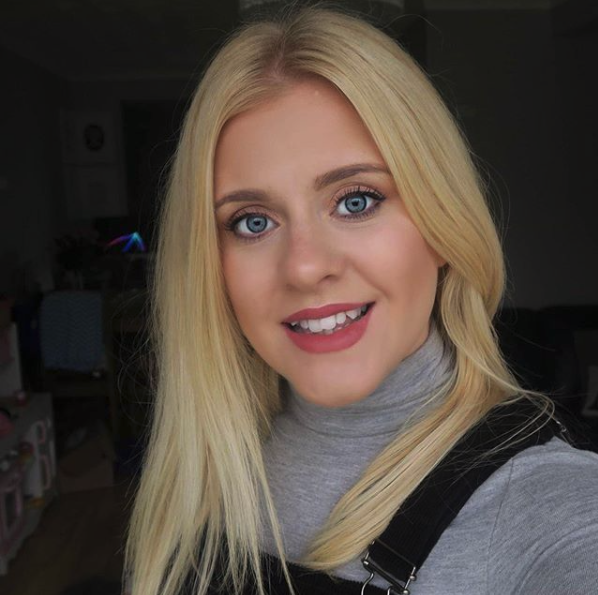 I also did a video over on my channel if video is more of your thing then check it out.. Especially thanks for the valuable post! You have shared efficiently and effectively. Your topic is great. I think The biggest teacher is the mother in the world. The only mother can build children as good people. Your tips are very helpful. Keep up such an excellent post!